Across North America and around the world, a significant shift from conventional to unconventional energy extraction is occurring like never before. As traditional energy sources dwindle and the insatiable demand for fossil fuels continues to increase, civilization seems to be taking greater and greater risks in order to fuel our seemingly endless consumption and over-use of this planet’s natural resources. 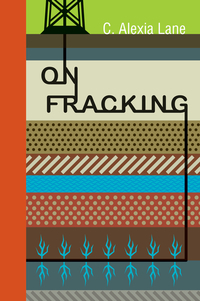 Hydraulic fracturing, or “fracking,” has emerged as a lightning rod of controversy as engaged citizens grow more and more concerned with the threats facing groundwater, local geology and the depletion of surface water. Although there have been relatively few proven instances of such threats when compared to the number of complaints filed, there is a prevailing sense of anger and frustration at the lack of transparency in the regulatory structure and enforcement of environmental measures to safeguard both surface and groundwater sources. Of noted concern is the intensity with which wells are scheduled to be fracked despite public concerns, calls for moratoriums and lack of baseline scientific data to ensure proper evaluation and follow-up monitoring of fracked wells. C. Alexia Lane’s first RMB Manifesto makes it clear that there is an urgent need for current policies to be reformed in order to alleviate various community, ecological and environmental concerns and to ensure the long-term protection of our precious water sources.